If you want to read the description, please select the French language. 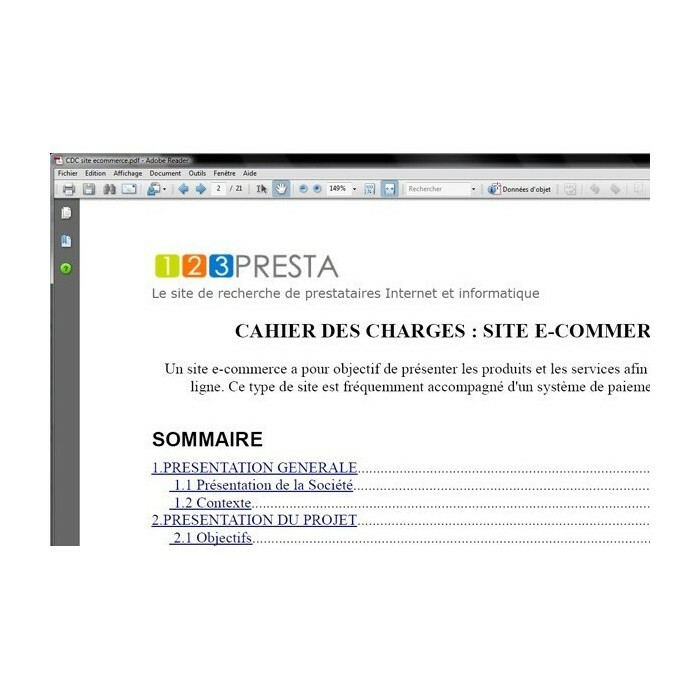 This sample specification for e-commerce site can write their document from examples of content part by part by copying and pasting . This sample specification consists of a summary AFNOR standard X50-151 in order not to forget all the important points of the specification. To simplify the task, we invite you to follow and complete all sections of the specifications. 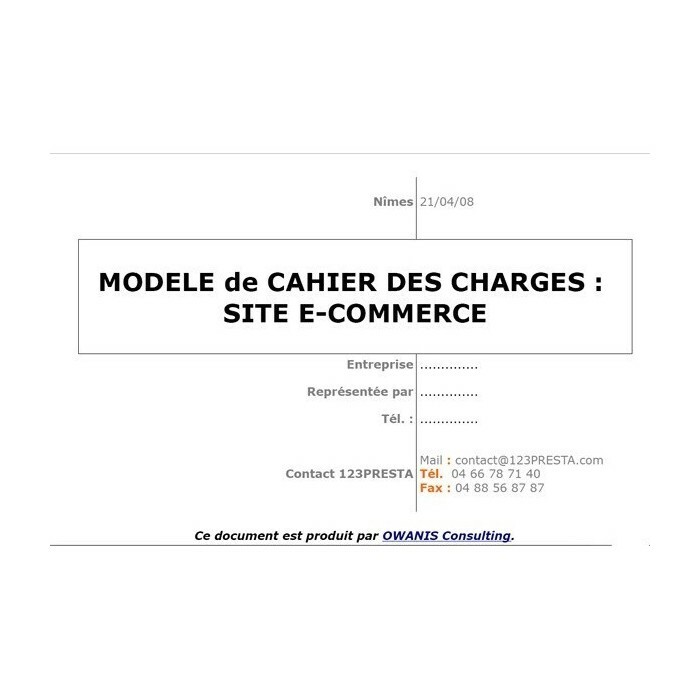 With more than 20 pages, this document will help you formalize your needs, simply and quickly to the establishment of an e-commerce website.